To the uninitiated (you have my condolences), that was Ernie McMillan’s study schedule in the run-up to the draconian O.W.L.s. Now I’m not saying even for a moment that cracking CLAT requires rigour of this degree. But, assuming that you’ve already started preparing for the test (you have my condolences), you’ll probably have come across a few characters resembling Ernie, who greet you with “I’m taking 3 mocks a day. I’m also reading the newspapers and keeping extensive notes.” And then they ask with a lopsided smirk, “What about you?” I’m writing this article to make sure you have a good answer to that. My contention is simple. To prepare for CLAT, efficiency is paramount, and effort is incidental. It’s all about what you do. Not how long you do it for. Time isn’t a critical factor right now. It’s almost August. So you have 9 months before CLAT 2017 is upon you. That’s approximately 270 days, which is more than enough time. Don’t believe me? Read on. Make your own adjustments and see if this works for you. In addition to this, solve question the 9 CLAT papers from 2008 to 2016, and evaluate yourself after you’re done with each paper. This will begin to familiarise you with the real deal. While evaluating, put down your sectional scores. This will let you compare your performances and trace your improvement. For GK, I relied on my wily old friend inShorts. Every time I checked my phone, I made it a point to go though at least 10 news stories on the app. That you have to be an avid newspaper reader is a myth. This is CLAT, not the UPSC test. I’m from Kolkata, and Durga Pujo made sure my CLAT prep went flying out the window. But if you don’t have any major engagements or vacations, this is the month for you to get ahead of the pack. Buy a CLAT guidebook/question bank (I would recommend Universal’s Guide to LLB). Don’t be intimidated by the fact that this tome is a perfect substitute for a dumbbell. All that you have to do is to open a random page at any time, and read or solve the questions on that page. This adds an element of surprise, and keeps the tempo up. As far as the 3 relatively intuitive sections of the test are concerned (Maths, Logical Reasoning, and English), this is your time. Convert your weakness into your strongest section. Try and solve questions of various types. You don’t really need to get yourself specialised books to practice. Just use the material you’ve received from your respective tutorials, and revisit these sections from the papers from past years. I was one of those over entitled science students. So these four months were dedicated entirely to preparing for boards (read: chilling). But in all seriousness, I feel it’s essential to score decently in your boards. There’s a huge motivational factor that comes into play. Moreover, sidelining boards would be doing a grave injustice to your 12 years in school. However, what you need to do now is to ensure you still have an umbilical connection to CLAT. Keep checking the websites of various law schools, watch Annalise Keating or Harvey Specter in action, and sign up for online test series programs. And every time you have your phone in your hand, remember the 10 news stories rule. The fifth item on the list is the finest virtue of mankind, but please focus on the four vices for a month. By now, you should start finalising your modus operandi for the big day. In which order will you attempt the sections? How much time will you devote to each section? How many questions will you ideally attempt? The answers to these questions should necessarily change throughout the duration of this year, but in April 2017, you should mould them in stone. But remember, a lot depends on the question paper, so keep your chisel handy. Make sure you get a good amount of sleep the night before. Wake up, get into the zone, turn on your swag, and kill it. Remember, you need to beat Ernie McMillan. See you on the other side, junior! Law School awaits you. Awesome! I have seen you preparing yourself for CLAT exactly the way you wrote. Proud of you. This article is such a stress buster! Also may I ask, when did you start preparing? Like, properly preparing. A most helping advice i have seen , also the fact i can relate to it is being from pcm and the fact that you were preparing from august while i started only after the boards still it is the best choice i have made, one question How many mock tests are necessary for 2016 in that time i could only give a shot at 25 ??? Fantastic views on clat prep. Long way to go Pom Pom . Best of Luck and come out with flying colours from NLS Bengaluru. Best wishes Pompom. Wish u to come out with flying colors from your institute. Thanks, this is really a stress buster because managing boards along with clat prep seems to be exhaustive and heartly congrats for ur achievement….! Best of luck pom pom. Wish you to come out in flying colours from your institute. These was fabulously written …. Best of luck for the days to come. You will come out in flying colours!!! so proud of u Adi……keep up d good work n make us all proud. Very well written and informative for CLAT aspirants. Well done Pom! Keep up the good work going and scale new heights. We are proud of you. 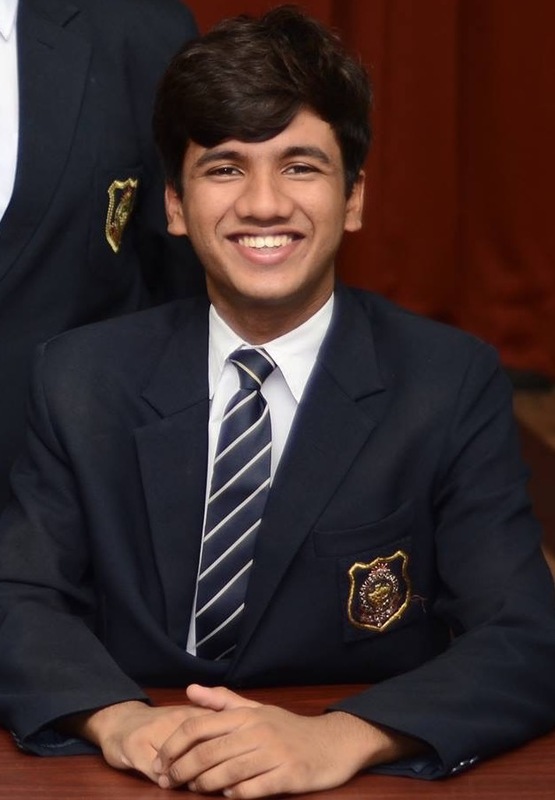 Aditya, you have written about the serious subject of CLAT prep with great ease and humour. It is a delightful read while imparting helpful information and study tactics to aspirants. Great job! You have covered all the important aspects one needs to know with infomation and fun blended aptly.I am sure this approach of yours will go down considerably well with the upcoming aspirants and pave an easier way for them to prepare….way to go !! Good write…Sayan. Which section should be read in inshorts app,like there are many(my feed,India,sports…)?Which are more CLAT specific?